Politics aside, let’s get back to books, lovely books. 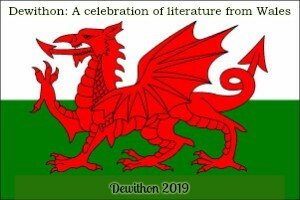 This is my contribution to Dewithon 19, the Welsh readathon for March 2019, hosted by Paula at Book Jotter – do join in! Firstly, Winter Sonata by Dorothy Edwards (1928), who was born in Glamorgan in 1903. This was her only novel after she tragically died by suicide when she was 31, six years after its publication. Arnold Nettle is a shy man and in frail health. He moves to a village where his family own the Post Office, to work there and recuperate. So, a simple life conveyed in a simple style. I wasn’t sure about this style at first, whether it was deliberate to convey Arnold’s thought processes and deliberately quiet life, or whether it was the inexperience of the writer. It worked well for Arnold, and it did change slightly when the story focussed on other characters. Arnold is asked by a local family to play his cello for them; Olivia and Eleanor live with their aunt, Mrs Curle, and her son George. Arnold is very much taken with Olivia. The story follows these young people and also Mr Premiss, a self-focussed cad who is friends with George, and Pauline, Arnold’s landlady’s daughter. Very little happens so this is not the novel for you if you like a strong plot, but I thought it worked effectively in capturing people and a place at a moment in time, over the course of one winter. I only write about books I would recommend, and I would recommend Winter Sonata, but with some reservations. 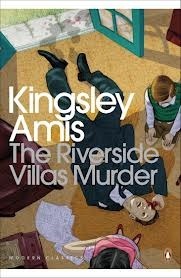 I found it an interesting novel with some beautiful writing but also a bit unsatisfying. I’ve definitely not done it justice here and in capturing a quiet desperation within ordinary lives it is restrained and accomplished. What I am sure of is that Dorothy Edwards was a talented writer and may have just been finding her feet with this. I’d certainly like to read Rhapsody, her collection of short stories. Had she lived and carried on writing, I think she could have been really successful. 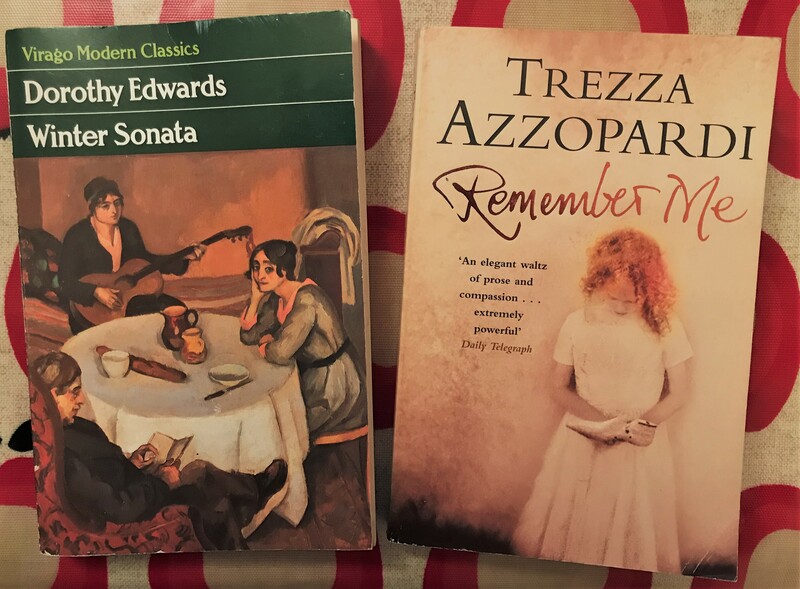 Secondly, Remember Me by Trezza Azzopardi (2004) who was born in Cardiff and based the main character of this novel, Winnie, on Nora Brindle, a woman who lived on the streets of Cardiff. Winnie is homeless but shelters in an abandoned shop that she has some previous connection to, along with some young homeless boys. They move on and she is on her own when a young woman breaks in a steals her case. Her pursuit of her things leads Winnie to remember the past, and Azzopardi moves seamlessly back and forth across time. Winnie has been considered odd since she was a child. Her mother seems to suffer from depression, although in the first half of the twentieth century it isn’t called that. All young Winnie knows is that her frail mother is wasting away in bed, and like Winnie, she communes with the dead. What we witness is that time and again Winnie is used by people. Azzopardi shows with a deft touch how society will judge Winnie – homeless, unloved, likely mentally ill – harshly, although she has never been vindictive or deliberately tried to hurt anyone. Meanwhile those who use her – usually male, employed, solvent – get away with it. Remember Me isn’t remotely sentimental and Winnie never asks for pity. She is an unreliable narrator, but then everyone would be an unreliable narrator of their own life – how can it possibly be seen with any objectivity? Winnie’s life is hard, and unfair, and yet her resilience and a message of hope endures to the very end.